I think I've lived a pretty sheltered life! I am in the 8th great-grandmothers and I'm up to Ancestor #1259, who is Sarah SILSBEE (1646-1682) [Note: the earlier great-grandmothers and 8th great-grandfathers have been covered in earlier posts]. 1258. Joseph Collins, born about 1643 in Lynn, Essex, Massachusetts, United States; died before 02 November 1724 in Lynn, Essex, Massachusetts, United States. He was the son of 2516. Henry Collins and 2517. Ann. He married in Lynn, Essex, Massachusetts, United States. 1259. Sarah Silsbee, born about 1646 in Lynn, Essex, Massachusetts, United States; died 25 February 1682 in Lynn, Essex, Massachusetts, United States. * Ann Collins (1675-1754), married 1691 Nathaniel Ingalls (1660-1737). * Dorothy Collins (1676-1730), married 1700 Robert Gray (1672-1731). 2518. Henry Silsbee, born before 1618 in England; died before 16 December 1700 in Lynn, Essex, Massachusetts, United States. He married about 1644 in Essex, Massachusetts, United States. 2519. Dorothy, born about 1620 in England; died 27 September 1676 in Lynn, Essex, Massachusetts, United States. * Mary Silsbee (1645-1695), married 1664 Zachariah Marsh (1637-1693). * Sarah Silsbee (1646-1682), married Joseph Collins (1643-1724). * John Silsbee (1646-1676), married 1673 Bethea Pitman. * Nathaniel Silsbee (1651-1717), married (1) 1671 Deborah Tompkins; (2) 1697 Elizabeth Pickering (1651-????). * Hannah Silsbee (1654-1682), married 1680 Thomas Laughton (1645-????). * Samuel Silsbee (1657-1687), married 1676 Mary Biscoe (1654-????). * Ephraim Silsbee (1660-1729), married 1696 Rachel Bassett (1666-????). * Edward J. Paul, The Ancestry of Katherine Choate Paul (Milwaukee WI : Burdick and Allen, 1911). * James A Emmerton, MD, Genealogical Account of Henry Silsbee and Some of His Descendants (Salem, MA. : Essex Institute, 1880). 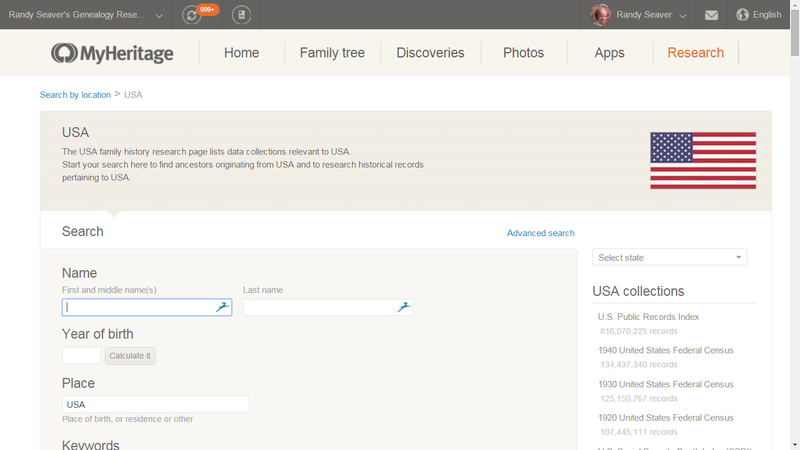 Several society colleagues and blog readers recently asked me just what record collections are available on MyHeritage. I've wondered that too, so I went searching their website for lists of record collections. 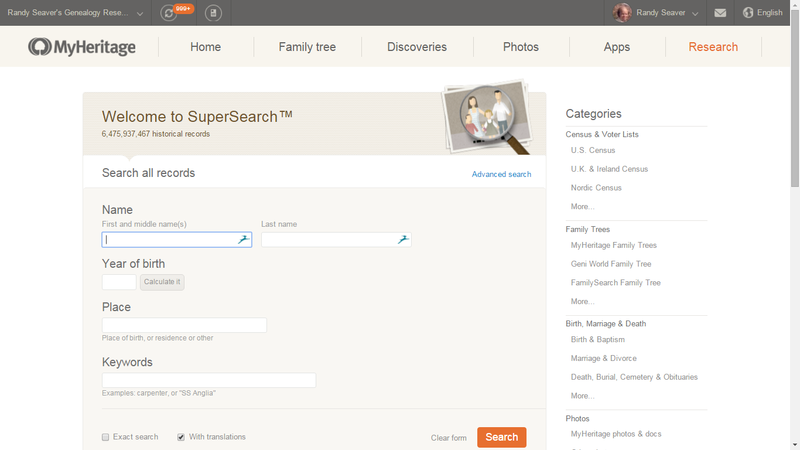 A user could click on the different categories or sub-categories on the list on the right side of the screen. 2) Further down the "Research" screen is a map of the world, and if you run your mouse over a region, it is highlighted. I clicked on the "USA" link and saw a list of U.S. states. I could click on a state and see a list of collections for specific states. In the right-hand column is the list of USA collections, listed by number of records. There were 99 collections in that list, with the 99th one being "Russians Immigrating to the United States" with 527,394 records. 4) However, when I clicked on a category or clicked on a state, I saw hundreds of USA collections listed with less than 527,394 records. 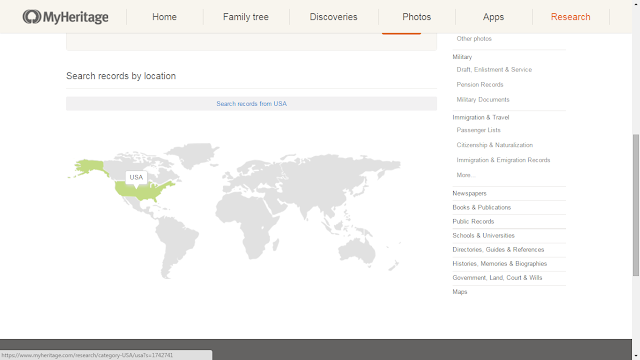 For example, the 1790 U.S. Census is not on the list of 99, but is listed in the "U.S. Census" category. In addition, the NewspaperARCHIVE collection and the Published Books were not included in the USA collections list. 5) My conclusion is that I cannot easily come up with a complete list of record collections, or even a number by country or state. Users will have to drill down in the category lists to determine if MyHeritage has what they need. I, and I'm sure other users, would appreciate a clear list of available collections and the number of records in each collection. I wrote Family Tree Maker is Updated and Shipping Now on 2 March 2016, including the Frequently Asked Questions on the Software MacKiev website. It’s here! Family Tree Maker is BACK. 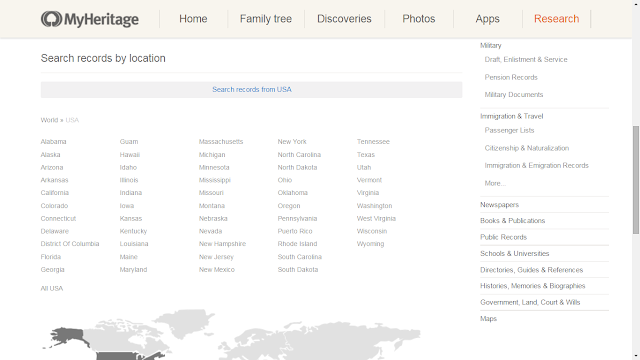 All of us here at Software MacKiev are happy to be taking up where Ancestry left off with Family Tree Maker, the most widely used family history software of all time. We have completed a small update to get the product back on the market and are pleased to let you know its available RIGHT NOW. 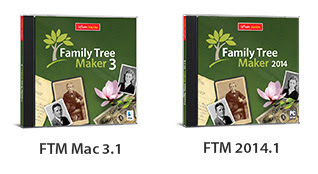 We have started with Ancestry’s FTM 2014 and FTM Mac 3 and, as a company of engineers, we set our focus on stability and performance improvements. So we swatted down some bugs. And we made the application more responsive – you will find some actions that previously took minutes now take seconds. We made sure that our new updates are completely compatible with the latest operating systems (Windows 10 and El Capitan). We’ve also made sure that your old trees will open seamlessly. That there is nothing to move. That your Ancestry account if you have one will continue to work with the new versions. And that TreeSync and all the other things you have come to like about FTM are still there for you. See below how to get the updated editions, and some other information you may find useful. Thanks to all of you who have welcomed us so warmly. It means a lot to us. A new chapter in Family Tree Maker’s long and proud history begins today! 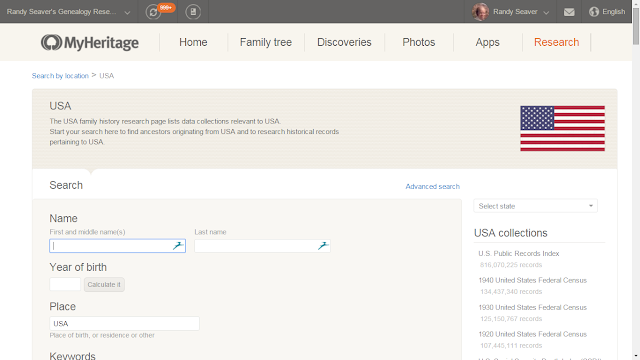 Family Tree Maker users who do not currently have an Ancestry.comsubscription, will be offered a 14-day free trial. 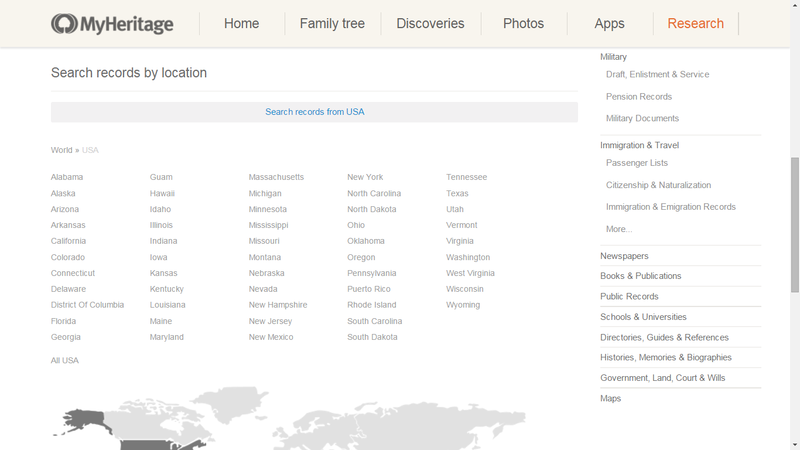 We are sharing responsibility for the rest of this year with Ancestry.com but the Software MacKiev support site is the best place to start. We’ll direct you from there to the right place to get the help you need. If you have questions for us, please first read our FAQ as we’ve tried to answer the most common ones there. If you don’t find the answer you are looking for in the FAQ, please send your question through our Feedback Form which you’ll find on our FTM Home Page (see #1 above). Thanks! The bottom line here is: You can buy the updated version if you want NOW, or upgrade your old pre-2014 versions NOW, but you will have to wait about a week for the FREE Upgrade to existing FTM Mac 3.1 and FTM 2014 versions.